Funeral meal. Painted stone relief from a Roman stele. Location: Rheinisches Landesmuseum, Trier, Germany. Photo: Erich Lessing. Living in the Greco-Roman world, early Christians were able to draw from a set of rich artistic paradigms when they set out to depict their stories and beliefs in decorative contexts. This often led to the assimilation of well-established pagan artistic styles and images into early Christian art. The sculptors, fresco painters and mosaic artists who created Christian images did so by using the prolific examples of art and decoration that shaped their artistic landscape. The earliest known Christian art can be found in the catacombs of Rome. This nascent and largely populist religion was viewed with varying degrees of hostility by the Roman authorities in the first few centuries after Jesus’ death, ranging from disdainful tolerance to outright persecution. Not surprisingly, early Christians were discreet in their worship, and their art was executed quite literally underground. With the issuance of Emperor Constantine’s Edict of Milan, which effectively legalized Christianity, Christian art became much more overt and widespread. Third-century scene of a feast decorating a Christian tomb in the Catacomb of St. Callixtus in Rome, Italy. Photo: Scala/Art Resource, NY. This is not so strange; as emerging underdogs in a nation with a long and well-established artistic tradition, those same artisans and craftsman who were now creating art in a Christian context naturally turned to images and styles that were familiar to them. Thus the early images of Christ portray a young, beardless man who bears a strong resemblance to the god Apollo of the Greco-Roman world. This is not to say that Christians necessarily confused the two, but rather that they chose an image of a pre-established deity with noble associations to portray their own idea of the sacred. Interested in learning about the birth of Jesus? Learn more about the history of Christmas and the date of Jesus’ birth in the free eBook The First Christmas: The Story of Jesus’ Birth in History and Tradition. Helios, Greek sun god. Cornerstone of a metope-triglyphs frieze from the Athena Temple in Troy (Ilion). After 300 B.C. Marble, 85.8 x 201.2 cm. Inv. 9582. Helios, the Greek god of the sun (who was later often identified with Apollo, the god of light), is another ancient pagan figure whose image reverberated through monotheistic art; both Christians and Jews used the image of the Greek god of the sun in religious contexts. The Greek deity was most commonly depicted in a chariot drawn by four horses (the quadriga). The chariot represented the sun, and according to Greek mythology, the daily journey taken by the god across the sky was the source of sunlight. This depiction of Helios appears, surprisingly, as part of an elaborate mosaic floor uncovered in an ancient synagogue at Sepphoris. In the mosaic, Helios is surrounded by the 12 signs of the zodiac. Sepphoris was not unique; Helios and the zodiac appear in at least seven synagogues from about 400 to 500 C.E. Photo: Gabi Laron/Courtesy Zeev Weiss. Equally well documented are images of Christ as Orpheus, particularly in the catacombs of Rome. One of the most famous aspects of the Orpheus myth from antiquity is the story of Orpheus’s determined descent into Hades to rescue his love Eurydice, who had been snatched from him by an untimely death. While he was ultimately not successful in recovering Eurydice, he himself emerged from the underworld alive. This particular aspect of the myth resonated with early Christians, who saw this as an allegorical reference to Christ’s descent into and return from the fiery depths of hell. Orpheus thus became a symbol of victory over death, and a symbol of eternal life. Marcello Provenzale’s 1608 micro-mosaic represents Cardinal Scipione Borghese as Orpheus, an allusion to his talent for persuasiveness. Of course, the image of Orpheus with the accompanying cadre of beautiful plants and exquisitely detailed animals, both real and imagined, made for a beautiful ornamental design in any context. Sometimes, even during the Christian period, a decorative image of Orpheus was simply that: an image of Orpheus.‡ In the case of the famous sixth-century A.D. Jerusalem mosaic (now in the Istanbul Archaeological Museum), which depicts an exquisitely detailed image of Orpheus that was originally interpreted as a representation of Christ, it is likely that the figure is simply an artistic panel that recalls a quaint and harmless story from an older time. Check out “Double Identity: Orpheus as David. Orpheus as Christ?” in the March/April 2009 issue of BAR for more information about pagan imagery. This image, which strongly recalls the image of the Hermes/shepherd figure depicted in pagan funerary contexts, represents Christ as the Good Shepherd. This third-century fresco is located on the ceiling of a Christian cubiculum tomb in the Catacomb of Priscilla in Rome, Italy. An even more common motif featured in early Christian art that draws directly from pagan funerary art is that of the Good Shepherd. Commonly represented as a young, beardless man holding a sheep across his shoulders, we see this representation in pagan funerary contexts long before the advent of Christianity. Initially, this image seems to have an association with the pagan god Hermes, who was the patron deity of shepherds and who would accompany the souls of the deceased into Hades. Eventually, however, the image seems to have developed into a symbol of care and comfort in the afterlife. In antiquity, this widely disseminated image was an ideal candidate for artistic syncretism. The Gospels’ story of Christ as the Good Shepherd (John 10:1–9) and similar parables that make allegorical reference to the image of a benevolent and protective shepherd (Luke 15:3–7; Matthew 18:12–13) was an excellent fit for an image that was already known, used and associated with divine protectiveness. The image of the Egyptian statue of Isis with the infant Horus on the left was a common one in ancient Egypt. The medieval icon on the right is an example of an artistic composition believed by many scholars to mimic the ancient maternal pose presented in Egyptian art. The use by the Christians of pagan sacred imagery is not necessarily confined solely to the Greco-Roman world. The cultural and religious syncretism that took place in Greek and Roman society with other, even older civilizations meant that many early Christians had a wealth of artistic examples that may have originated outside of their immediate cultural landscape. One example is an Egyptian artistic motif: Scholars have long hypothesized that the image of Mary nursing or holding the Christ child close to her breast is an iconographic image borrowed from the ancient Egyptian motif of the goddess Isis nursing the infant Horus. The custom of borrowing images from the pagan world to represent the sacred ideal did not die out in antiquity. Renaissance art by very definition looked back toward the watershed achievements of ancient artists and recreated them in a Christian context. Pagan figures such as Orpheus, Apollo and Hercules were often firmly placed within a Christian context by the Renaissance period. One of the most notable examples is Michelangelo’s use of the noble face of the Apollo Belvedere as the face of Christ in the Last Judgment. Already in the Vatican collection at the time Michelangelo was painting his masterpiece, the artist likely had constant access to the statue that was one of the sources of his inspiration. This Apollo Belvedere (left) is a second-century A.D. copy of a Greek original, now lost. Photo: © Marie-Lan Nguyen/Wikimedia Commons. The Apollo Belvedere was already installed in the Vatican collection by the time Michelangelo began his work on the Last Judgment in the Sistine Chapel and would have had regular access to one of the sources of his inspiration for his frescoed image of Christ (right). While Christian art certainly evolved, changed and developed countless works of art that demonstrate unique styles and images, artists did not shy away from creating new meaning from established artistic models. Indeed, many believe that this approach only serves to enrich and elevate beautiful and meaningful representations of faith—no matter what the religion. This Bible History Daily feature was originally published in August 2012. 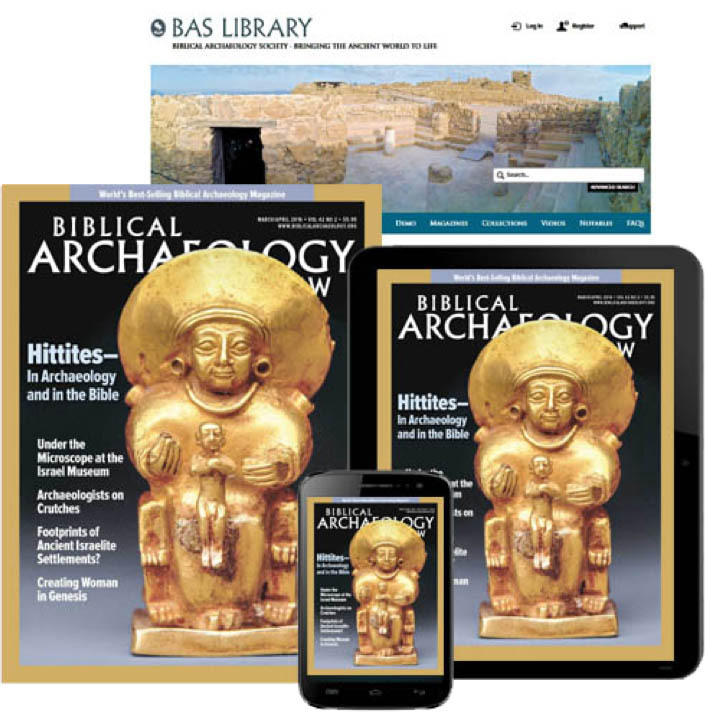 Sarah K. Yeomans is an archaeologist, Director of Educational Programs at the Biblical Archaeology Society and a faculty member at West Virginia University. She spent six years living, teaching and researching in Italy, and is a certified archaeological speleologist with the city of Rome. *See Robin A. Jensen, “Dining in Heaven,” BAR, October 1998. **See Zeev Weiss, “The Sepphoris Synagogue Mosaic,” BAR, September/October 2000. ***See Lucille A. Roussin, “Helios in the Synagogue,” BAR, March/April 2001. †See Connie Kestenbaum Greene, “King David’s Head from Gaza Synagogue Restored,” BAR, March/April 1994. ‡See Jas Elner, “Double Identity: Orpheus as David. Orpheus as Christ?” BAR, March/April 2009. Fascinating and useful article. The comments are disappointing as they reflect partisan religious passions that have nothing to do with the the thesis. I so enjoyed this informative aspect of early icons, art work and the simularity to pagan influence. The responces in 2012, were interesting to say the lest. While researching history I was aware of the assimilation from pagan to Christianity. Thank you for a well written artical with more facts. While preChristian era, one can take a look at early egyption Temples compare them to later Jewish temples and then to post Constantian Christianity and see an undeniable borrowing from the earlier Egyptian Art, Sculpture and Architecture. Thank ou for your fine article. Galatians 3:1 O foolish Galatians! Who has bewitched you? It was before your eyes that Jesus Christ was publicly portrayed as crucified. That public portrayal was either an icon or crucifix. This is as early as it gets. This is a well done report. I would like to add for some unknown reason the early Christians did not embrace the Ten Comandments. The commandment not to make graven images was ignored. It led them to vain imaginations that are with us to this day. 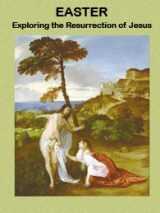 By making the many different images described in this report the early Christians went astray as Jesus said they would. He said that before a generation passes away that the world would go astray from his words. Make a man an offender for a word, that verse of scripture today is being followed by our nation and world, but in the wrong way. A man should not be banned and arrested, jailed for imaginary harassment and trespassing for a compliment of some unmarried lady’s bosom,cleavage and maybe rearend. Nobody seems disappointed in the devil because alot of people including those who go to church are listening to him, if they don’t want to hang out on other days and not just once every sabbath day, or they don’t want to be saved. I see the pagan inspired images as dangerous and not acceptable for Christians. For one, there need to be clearly established and enforced boundaries tween Christians and Pagans. If not, lines get blurred and soon, the lines get crossed. God made Israel stand out and be distinct from the nations as well. Images often turn into icons of worship. 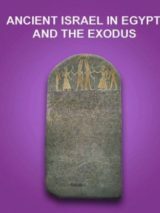 The commandment forbidding graven images, those of gods, heaven, or worship, were to keep God’s people from becoming idolaters. I note that many alleged sinister organizations today are loaded with occult and pagan imagery. What sharing do righteousness and lawlessness have? Gout out of her, my people! Christianity has clearly been apostate for the better part of 1800 years, as it looks to me. Isaac Newton has a great write up of Christianity’s earliest pagan adoptions and corruption. So even he noted this. The making of religious pictures is not idolatry per se, but the use of icons in worship, and particularly as objects of prayer and bowing down. It is significant that such use did emerge only after the forceful “christianization” of Roman society at the late 4th century. It is of intrest that the most ancient icon of crucified Christ is as late as 7th century. No, it doesn’t, What’s apostate is your superstitious (even blasphemous) conviction that man’s creative and artistic impulse is of the devil, and that it is a sin to employ that in order to communicate religious truth. Fundamentalists have this nasty habit of trying to find parity between themselves and the early Christians (who were Catholics, unless we’re talking about heretical sectarians who were the Protestants of their day: Judaizers, Gnostics, Montanists, Sabellianists, Arians, etc.) by pointing to the most superficial of similarities. Your quotation from Clement is pastoral counsel about what types of seals it is a appropriate for Christians to employ and which aren’t; it is far from a dogmatic assertion (let alone a comprehensive one) about the permissible use of images in Christian worship. The statue/ idol of Isis breast feeding horus is not similar to the Icon of Theotokos holding Jesus hand in her lap the only similarity is the angle of her arm. While many images were copied others were not. After all there is only a finite way to depict the human form in art. That being the case there is going to be similarities. Clement of Alexandria A.D. 153–193–217 taught against the use of images with the exception of seals used for letters a clear contrast to the later practices and teachings of the church. Chapter XI.—A Compendious View of the Christian Life. cleave to them; nor a sword, nor a bow, following as we do, peace; nor drinking-cups, being temperate.